We have added some new photos from the visit of the Relics to our Gallery. From time to time we host days of prayer and reflection for women interested in exploring a vocation to Religious life. Just over a year ago we started to prepare for the World Meeting of Families. The Icon specially written for the Meeting began it’s journey around Ireland and visited many Churches in every diocese. Wherever the Icon went there were ceremonies and services held to celebrate and pray for the families of the parish and the wider community. People left their petitions for their families and friends with the Icon. These petitions were then sent to different contemplative houses of nuns so that they would keep these intentions in their prayers until the World Meeting of Families. We placed the intentions assigned to us under the altar and remembered them in our prayers at every Mass and whenever we came to the Chapel to pray. At Evening Prayer we included them in the intercessions and recited the official prayer for the World Meeting of Families. As we prepared to attend the Meeting with all the Carmelite family, Priests, Brothers, Sisters and Lay Carmelites we received news that the relics of Sts. 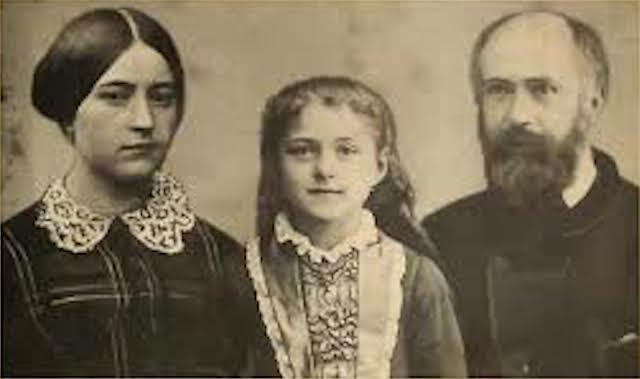 Louis and Zelie with their daughter St Therese (Little Flower) would also be attending! This certainly put us on high alert! They would also be touring Ireland both before and after the World Meeting of Families. 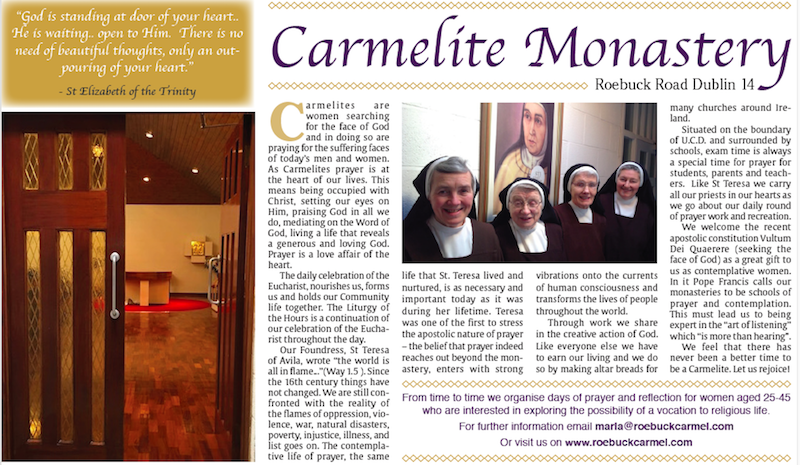 The itinerary was worked out and dates assigned as to when they would visit each Carmelite house and Cathedral throughout the country. Our allotted time was on 21st August between 10.00am and 2.00pm. It was preparation time - the reliquary of St Therese was very wide and high and posed problems for our narrow doors. One door on the corridor had to be taken down and the relics had to be taken around the back of the house to enter by the wider door! To mark the solemn moment of their arrival our visiting Sister from the Holy Land, played the African drum and led the procession. 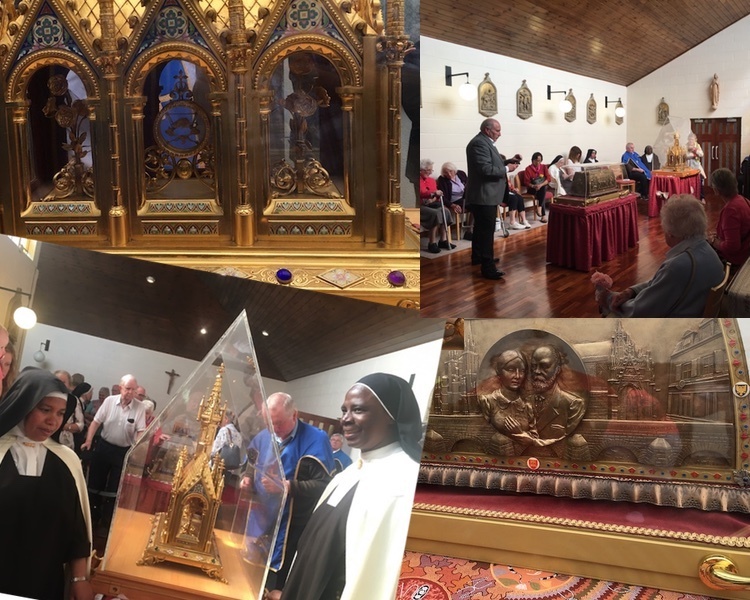 Of course, all the preparation was worth it, we were privileged to have the honour of having the Relics in our small chapel. So many people came to venerate them and pray for their intentions. Some wrote their intentions and left them in the basket provided. They are now under the altar and we pray for them daily. All too soon the time for departure came and they left for the R.D.S and the official Opening Ceremony for the World Meeting of Families. This opening Liturgy was a celebration of Evening Prayer and was entitled Le Cheile le Chriost (together with Christ) and was led by Archbishop Diarmuid Martin. It set the tone for the week and brought us a personal message from Pope Francis. The Meeting – Pastoral Congress took place over the following three days. It offered a programme of workshops and discussions as well as fun and prayerful activities for individuals and families. We saw many families from all over the world and Ireland gathered to celebrate family life. There was a wonderful atmosphere of joy as families met and shared and supported each other. Then came Croke Park and the festival of families and the arrival of Pope Francis. Words don’t describe…. The grand finale was Phoenix Park. It was very moving to hear Pope Francis take the sins of abuse into the Holy Sacrifice of the Mass and to beg pardon and healing. We pray daily for healing for those hurt by abuse. Vocations Sunday will be marked in Ireland this year with the launch of a new vocations prayer initiative. 2017 marks the 100th anniversary of the apparitions of Our Lady of Fatima. To coincide with this event the Bishops’ Council for Vocations in collaboration with Saint Joseph’s Young Priests Society, the Knights of Saint Columbanus and Vocations Ireland are asking that on the opening day of the centenary celebrations on 13 May, a time of prayer will be held for an increase in vocations to the priesthood and religious life in Ireland. Pope Francis will be in Fatima for the Feast of Our Lady of Fatima on 13 May where he will canonise two of the visionaries of the Marian apparitions there – the young shepherds Jacinta and Francisco Marto. Here in Ireland on the same day, people are invited to pray the Angelus or a decade of the Rosary for vocations to the priesthood and religious life at 12noon. It is also encouraged that on the 13th of each month, from May – October 2017, that a decade of the rosary be prayed for vocations in Ireland. In his homily for the canonization of St Elizabeth of the Trinity, Pope Francis spoke of the importance of our prayer life as Christians. The saints are men and women who enter fully into the mystery of prayer. Men and women who struggle with prayer, letting the Holy Spirit pray and struggle in them. They struggle to the very end, with all their strength, and they triumph, but not by their own efforts: the Lord triumphs in them and with them. The seven witnesses who were canonised today also fought the good fight of faith and love by their prayers. That is why they remained firm in faith, with a generous and steadfast heart. Through their example and their intercession, may God also enable us to be men and women of prayer. May we cry out day and night to God, without losing heart. May we let the Holy Spirit pray in us, and may we support one another in prayer, in order to keep our arms raised, until Divine Mercy wins the victory. St Elizabeth was in the habit of asking those who asked her for prayers to meet her in the Holy Trinity at a particular hour. She explained that if you are praying to the Holy Trintiy and I am praying to the Holy Trinity then we shall meet there in the Holy Trinity. She set a time for her friends to meet her in the Holy Trinity and they would pray together. A contemporary of St Therese of the Child Jesus (The Little Flower) Elizabeth has not been widely known. 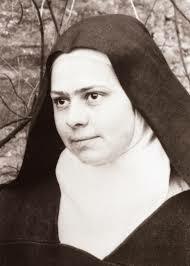 However, she is a new saint for the new millennium with a very powerful message, her awareness of God dwelling within us, really and truly present within each one of us. God is that close. When her mother told her she could only pray for short periods Elizabeth assured her that was all right and asked her to pray three times a day for five minutes each. That way Mrs Catez would recollect herself and found it much easier to cope with the burdens of the day. 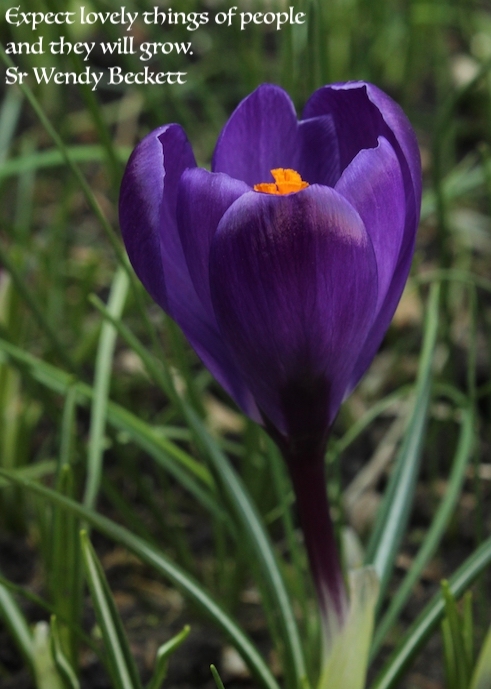 In these days mindfulness is very much spoken about. When Elizabeth speaks of recollection she is bringing to mind that God is within and then going to the heart for a heart to heart encounter with her beloved Trinity.